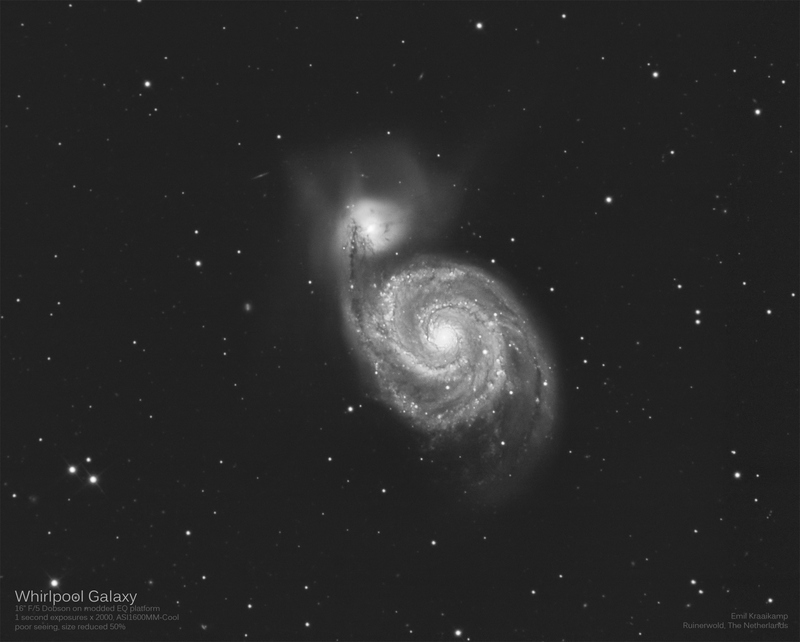 Another short test, this time of M51 with the ASI1600MM-Cool (cooled to -15C). I shot a few more frames than of M13, but the seeing was poor unfortunately. The image contains 2000 frames x 1 second stacked in AS!2.